WWDC is one of the biggest dates in the calendar of Apple. Worldwide Developer Conference by Apple is an annual, week-long event for software developers. During this event, Apple makes some of its most important and the biggest product announcements. This year’s WWDC ran from 4-8 June. It was held at San Jose. Part 2: What If You Want to Upgrade to the New iPad Pro? According to Bloomberg, the new iPad Pro is likely to get the Face ID feature. This is Apple’s popular facial recognition system that many fans adore. This is one of the most anticipated features that many people expect to be added to iPad Pro models in 2018. Many individuals wondered whether the feature introduced with the iPhone X last year would migrate to the iPad lineup. Now, the reviewers believe that Apple will add the TrueDepth camera array to the new iPad Pro, so it will likely have the Face ID feature. If Face ID feature comes to iPad, then it is highly unlikely that the Home Button will stay. 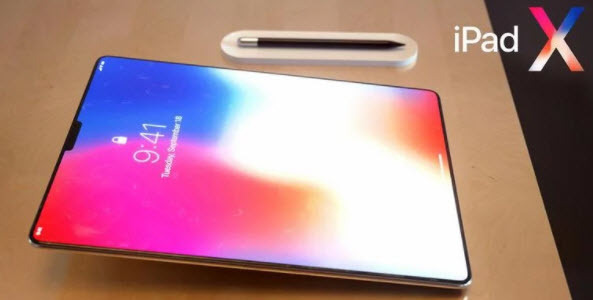 Many reviewers believe that the introduction of Face ID will likely eliminate the iPad Pro’s Home Button as well as Touch ID. With the absence of these, there is room for some design improvements. The newer iPhones run the A11 processor. Because of this, it is being presumed that the upcoming models will likely have A12. It makes sense that the newer iPod Pro models will likely have A11 or A11X processor at the very least. According to Bloomberg, it is highly unlikely that the upcoming iPad Pro models will have OLED display. Since iPad Pro has a metal-blacked design, they don’t support wireless charging. So, it can be concluded that if the newer models will have the same metal-blacked design, then wireless charging would be an unlikely upgrade. The exact release date of iPad Pro is not known, but reviewers expect it to be released somewhere in September along with the release of new iPhone for 2018. As far as the price is concerned, the latest iPad Pro model costs around $829. It is expected that the newer model released in 2018 will have a similar price tag. What If You Want to Upgrade to the New iPad Pro? If you are thinking about upgrading to the new iPad Pro as soon as it is released, then you may have thought about selling or donating your old iPad. Simply selling or giving away your iPad is not safe as it could lead to privacy leak. It is recommended that you permanently erase its data before handing it over to the new owner. As mentioned above, permanently erasing data of your iPad before selling it is very important because it protects your privacy. The default factory reset does not erase data permanently, which means that the data you erase can be recovered via a data recovery software. To permanently erase it without any chance of recovery, it is recommended that you use iMyFone Umate Pro for Win or for Mac. 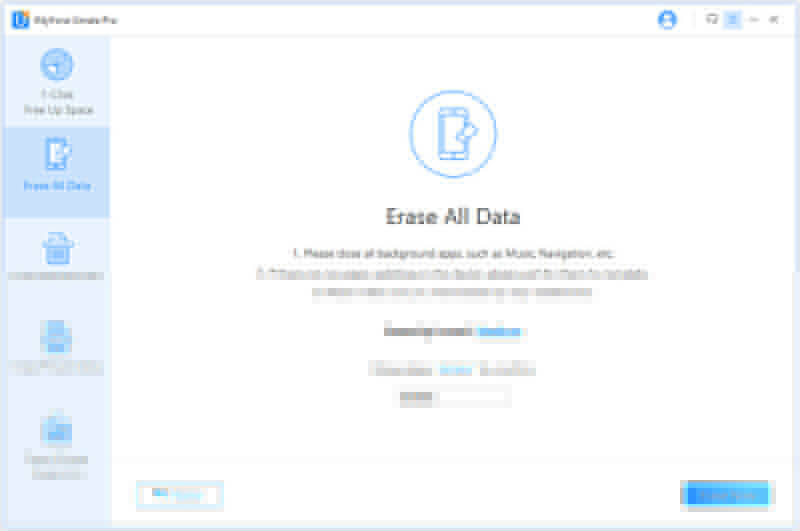 This is a powerful data erasing tool that will help you protect your privacy by erasing all your old iPod’s data permanently with a single click. Erase all data of your iPod permanently with a single click. 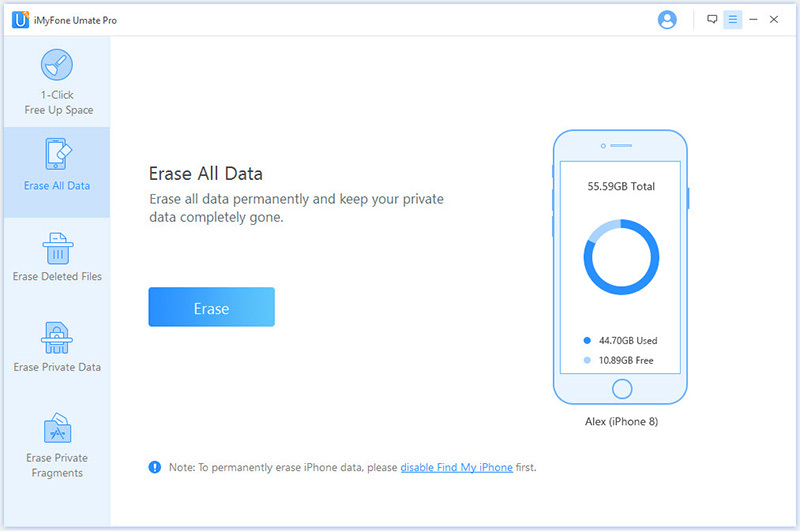 Erase private files such as photos, contacts, notes, call history, messages, etc. permanently to protect your privacy. Erase traces of the files that you have deleted from iPod to prevent them from recovering. Clear up cache from iPhone/iPad for free. Step 1: Launch Umate Pro on your Mac or Windows PC. Step 2:Connect your iPad to your computer via a USB cable. Step 3:Select Erase All Data mode from the home interface of Umate Pro. Step 4:Click on the Erase button on the next screen. Step 5:Choose a Security Level of deletion from Low, Medium, and High. Step 6:Input ‘delete’ in the textbox. Step 7:Click the Erase Now button to start the data erasing process. WWDC made some big announcements this year. One of the most anticipated Apple products this year is the new iPad Pro. Before selling or donating your old iPod in order to save up for the new iPad Pro, it is recommended that you erase its data permanently via Umate Pro to protect your privacy.